Home Family Law Why Don’t Fathers Who are Unwed Have Automatic Legal Rights? 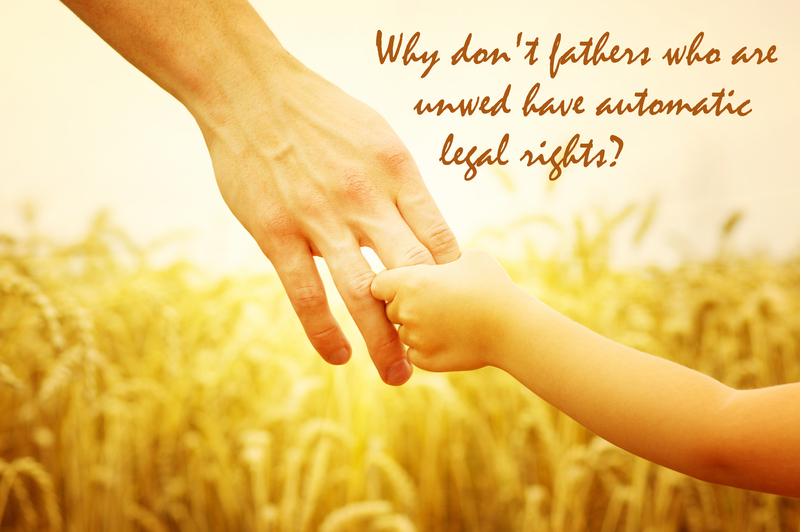 Why Don’t Fathers Who are Unwed Have Automatic Legal Rights? One of the greatest and most amazing feelings in the world is becoming a parent. Fathers can be the pinnacles of their children’s lives and one of the most influential people that a child will ever meet. Yet, there are some barriers that can take place when one becomes a father and is not married to the mother of their child. A father needs to know that he doesn’t have rights without a court order. According to Florida law, the fathers parental right is not presumed, but rather has to be established through the Florida court system. Simply signing the birth certificate is not enough for the to establish their paternity in Florida. You can read further about the establishment of parental rights and the process of establishing those right in the Florida statute mentioned above.